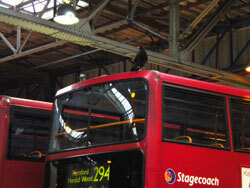 The feral pigeon is the number one urban pest bird. They are becoming increasingly common all over the UK and can have a negative impact on your business. Since pigeons are not afraid of people, they will roost and nest on any structure. Feral pigeons, seagulls, magpies and crows can all be removed without the use of extreme methods of disposal. Using birds of prey we can alter the behavior patterns of pest birds. 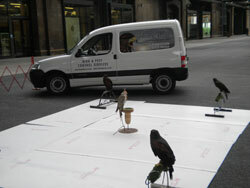 Our technicians fly hawks directly towards a flock of pest birds, scaring them away. 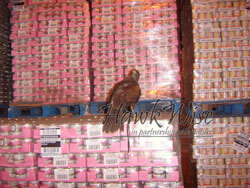 The presence of having a hawk in a problem area instills fear, which causes the nuisance birds to be confused and vulnerable therefore they decide to nest away from the problem area. This can take a number of visits to achieve. However, once the pest bird’s pattern of behavior has been altered, control can be maintained with a routine treatment plan. 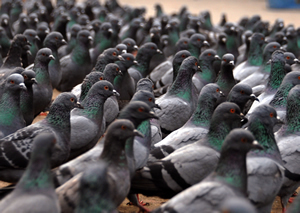 If you have a pigeon problem in Essex or London, contact us now to see how we can help.